AREAWIDE — Help Cappella Cantorum propel into 50 years of tradition with this new, exciting fundraiser slated for Saturday, Oct. 29! Enjoy tastes of wines and beers from local and regional sources, as well as delicious hors d’oeuvres and a pasta station, while you peruse lots of great silent auction items, including artwork, many gift certificates to local merchants and some surprise items! Live entertainment will also be provided by Cappella’s own Hilltop Four Barber Shop Quartet. The event is in the River Valley Junction building at the Essex Steam Train, where you will be enveloped by the delightfully preserved, historical space. Tickets are $40 per person and can be purchased at the door the night of the event. Tell your friends and family. All proceeds benefit Cappella Cantorum, a non-profit, 501(c)(3) organization that is celebrating its 47th year of tradition in the upcoming 2016-2017 concert season, Moving Full Steam Ahead! 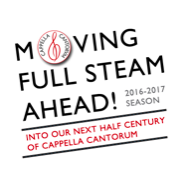 Into Our Next Half Century of Cappella Cantorum. IVORYTON — The Ivoryton Congregational Church at 57 Main St. will hold a special worship service on Sunday, Oct. 30, reflecting on the Protestant Reformed Spirituality of Martin Luther and John Calvin. It is Reformation Sunday. All are welcome. The pastor of the church is Rev. John Van Epps. For more information on the service, call the church office at 860-767-1004. 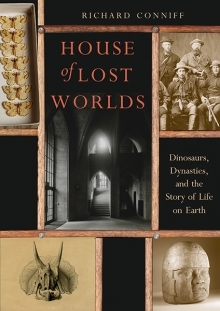 ESSEX — The Essex Library is honored to co-sponsor with the Essex Land Trust an author talk on Wednesday, Oct. 26 at 7 p.m. with Richard Conniff, whose latest book is House of Lost Worlds: Dinosaurs, Dynasties, and The Story of Life on Earth. This fascinating book tells the story of how the Yale Peabody Museum of Natural History changed ideas about dinosaurs, dynasties, and even the story of life on earth. The event will be held in The Cube at Centerbrook Architects, 67 Main St. Centerbrook. Copies of The House of Lost Worlds will be available for purchase and signing. 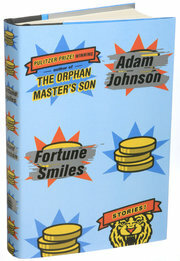 Conniff introduces a cast of bold explorers, roughneck bone hunters, and visionary scientists. Some became famous for wresting Brontosaurus, Triceratops, and other dinosaurs from the earth, others pioneered the introduction of science education in North America, and still others rediscovered the long-buried glory of Machu Picchu. The Peabody Museum, now celebrating its 150th anniversary, has remade the way we see the world. Richard Conniff is a National Magazine Award-winning writer for Smithsonian, The Atlantic, National Geographic, and other publications, and a past Guggenheim Fellow. His other books include: The Species Seekers; Swimming with Piranhas at Feeding Time; The Natural History of the Rich; and The Ape in the Corner Office. He has been a frequent commentator on NPR’s Marketplace, and is a contributing opinion writer for The New York Times. 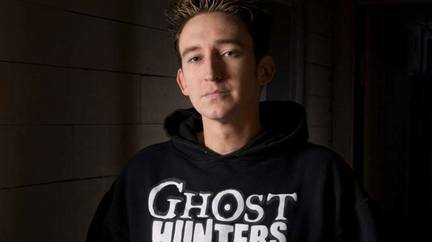 He has written and presented television shows for the National Geographic Channel, TBS, and the BBC, among others. This program is free and open to all. Call the Essex Library for more information or to register at (860) 767-1560. The Cube at Centerbrook Architects is located at 67 Main St. in Centerbrook. Michael Marotta as the Doctor and Kim Rachelle Harris as the title role in ‘Tenderly: The Rosemary Clooney Musical,’ which opens Wednesday at the Ivoryton Playhouse. IVORYTON – Based on the life of Rosemary Clooney, American’s favorite girl singer comes to life on stage in this exhilarating and inspiring musical biography. Kim Rachelle Harris makes her debut as Rosemary Clooney. Tenderly is not a typical “juke-box musical.” It offers a fresh, remarkably personal, and poignant picture of the woman whose unparalleled talent and unbridled personality made her a legend. With her signature songs woven in and out, we learn both the story of her successes on film, radio, and TV, as well as the struggles in her personal life. Clooney’s career languished in the 1960s, partly due to problems related to depression and drug addiction, but revived in 1977, when her “White Christmas” co-star Bing Crosby asked her to appear with him at a show marking his 50th anniversary in show business. She continued recording until her death in 2002. 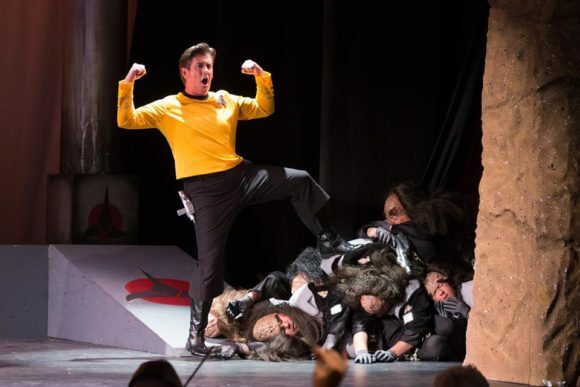 Michael Marotta revisits the role of the Doctor in the Ivoryton Playhouse production. Tenderly: The Rosemary Clooney Musical opens at the Ivoryton Playhouse on Oct. 26 and runs through Nov. 13. Performance times are Wednesday and Sunday matinees at 2 p.m. Evening performances are Wednesday and Thursday at 7:30 p.m, Friday and Saturday at 8 p.m. 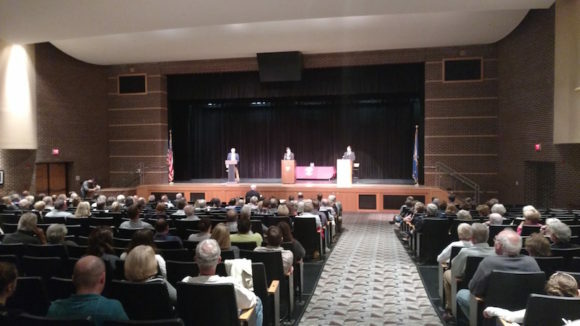 The discussion will be held at the Chester Public Library, at 21 West Main Street, from 7 to 8:30 p.m. The discussions are free, but registration is required. Call 860-526-0018 for more information and to register. Books will be available to borrow at the library on a first-come, first-served basis. 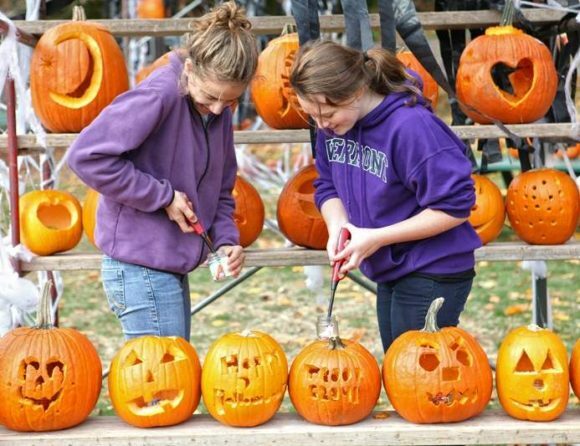 Join the fun of pumpkin carving on Oct. 22 in Ivoryton. 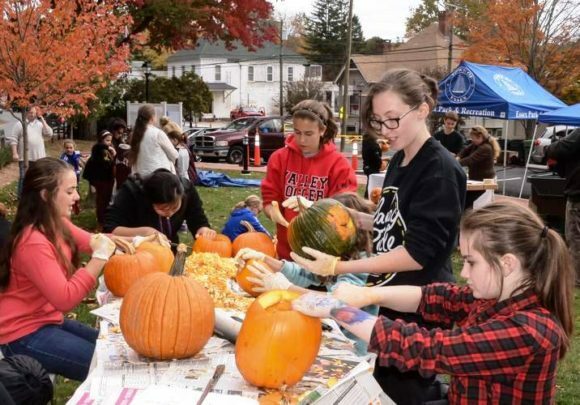 ESSEX — Ivoryton’s Pumpkin’s Festival takes place on Saturday, Oct. 22., and offers a full day of events. The festival brings more than 1500 visitors to the village green. The Pumpkin Festival takes the very best traditions of the autumn season and offers them all for free. The first Pumpkin Festival was held at the Ivoryton Village Green in 2000 and is held the Saturday before Halloween every year. Join the fun at the village green to enjoy the free refreshments, contests and games, live music and view the pumpkins. 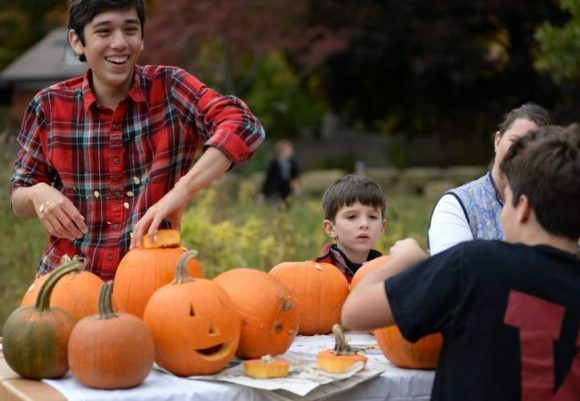 Bring your carved pumpkins from 9 a.m. to 12 noon for the Jack o’ Lantern Stroll Date from 5 to 8 p.m. on Ivoryton Green. This race will begin near the library and meander through historic Ivoryton, continuing into Falls River Farms and the Falls River Preserve and ending back at the library. A Pumpkin Run in Ivoryton Park is scheduled for children aged 8 and younger. All pumpkin runners will receive a medal and a pumpkin that can be painted after the race. Show off your carving skills at Ivoryton’s Pumpkin Festival! The Great Pumpkin Challenge at the annual Pumpkin Festival calls for 200 or more carved pumpkins for the Jack o’ Lantern stroll. 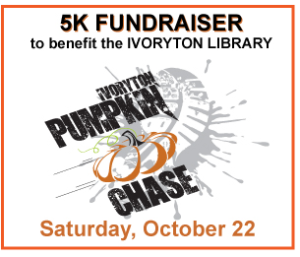 Why not join this activity at the green immediately following the Ivoryton Library Pumpkin Chase from 9 a.m. to 12 p.m. on Ivoryton Green to create your masterpiece and put it right on display for all to see? You can also satisfy your sweet tooth with cookie decorating with the volunteers from Child & Family Services of Southeastern Connecticut. There will be over 100 pumpkins that will need to be carved so come on down early and enjoy a fun time with neighbors and friends at our Halloween celebration. Pre-registration is not required, but would be much appreciated. Essex Park and Recreation Department is hoping for at least 50 carvers to get the job done for the pumpkin lighting that begins at 5 p.m. Starting at 5 p.m., enjoy Halloween-inspired face-painting by Bohemian Body Art alongside Music with Margie, who will be performing “Roll With the Pumpkins” on the Ivoryton Playhouse’s side patio from 5 to 5:45 p.m. Enjoy a not so scary horse drawn hayride sponsored by the Park & Recreation Commission- Rides will leave from the Village Green from 5 to 8 p.m.
Don’t miss the Haunted Wonderland at the Ivoryton Library from 6 to 8 p.m.
Also from 6 to 8 p.m., enjoy the antics of The Munsters on the Big Screen presented by Ivoryton Library and Essex Park and Rec next to Gather. 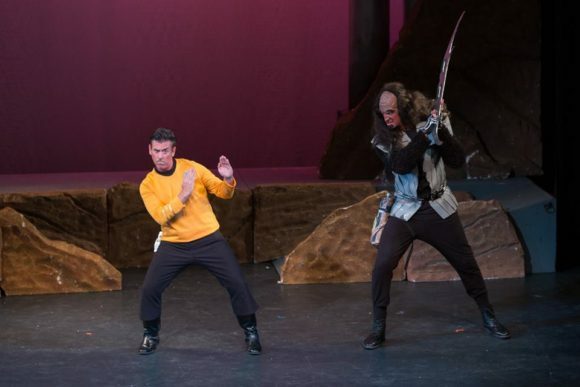 For yet more entertainment,“Federation” is back with live music in the Gazebo from 6 to 8 p.m. Enjoy free refreshments, courtesy of Deep River Snacks, The Essex Lions Club, The Ivoryton Inn & All Saints Church – while they last at The Ivoryton Playhouse patio also starting from 6 p.m.
Be sure to take a stroll around the village and take in the sights of the beautifully carved pumpkins on display. 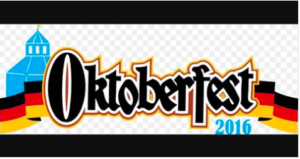 DEEP RIVER — Get your German on at Deep River Rotary Club’s Oktoberfest at the Stone House, 174 Main St., on Saturday, Oct. 22, from 6 p.m! The Club promises an entertaining, fun-filled evening with authentic brews and german cuisine — as well as wine and soft drinks. ESSEX – Yesterday, Norm Needleman announced the endorsements of women’s health groups Planned Parenthood Votes! 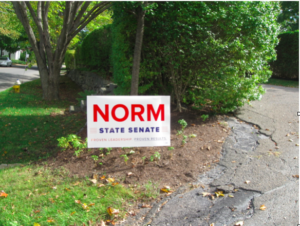 Connecticut PAC and NARAL Pro-Choice Connecticut PAC in his State Senate campaign in the 33rd District. Planned Parenthood Votes! Connecticut PAC (PPV!CT PAC) is committed to supporting and endorsing pro-reproductive rights, pro-family planning candidates for state office. 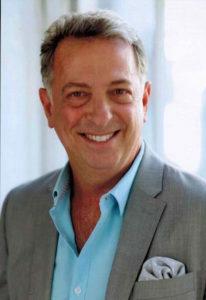 Needleman was endorsed along with other candidates for Connecticut state races. NARAL Pro-Choice Connecticut PAC’s mission is to develop and sustain a constituency that uses the political process to guarantee every woman the right to make personal decisions regarding the full range of reproductive choices, including preventing unintended pregnancy, bearing healthy children, and choosing legal abortion. “We are excited about your support for women, and look forward to your involvement in working to make Connecticut the best state in the nation for reproductive rights,” said Jillian Gilchrest, President, NARAL Pro-Choice Connecticut PAC. 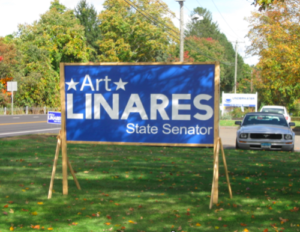 Needleman is challenging incumbent State Senator Art Linares who has earned the endorsement of an extreme organization – the Family Institute – in 2012, 2014 and 2016 for his opposition to common sense women’s health and reproductive rights. 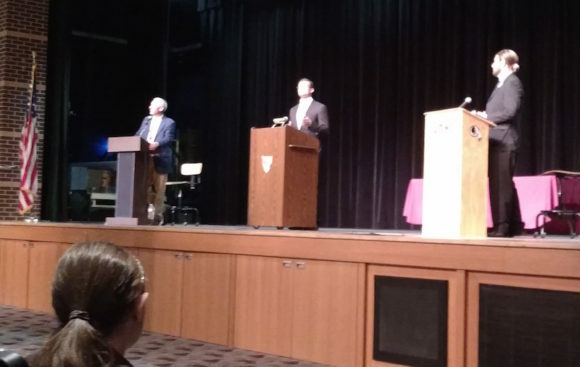 PPV!CT PAC is the Connecticut state political action committee affiliated with Planned Parenthood Votes! Connecticut (PPV!CT). PPV!CT is the advocacy and political arm of Planned Parenthood of Southern New England (PPSNE). Needleman is the founder and CEO of Tower Laboratories, a manufacturing business. 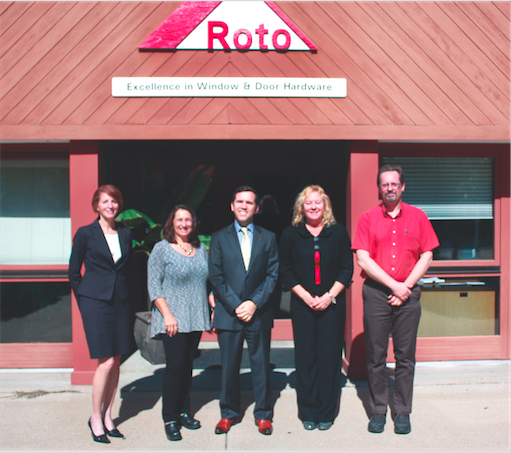 As CEO, he has built the business over the past 37 years to become a leader in its segment, employing 150 people at facilities in Essex and Clinton. Needleman is in his third term as first selectman of Essex and was first elected as a selectman in 2003. 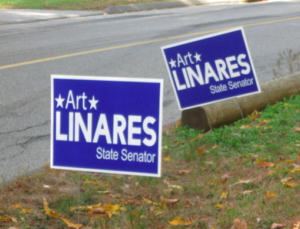 He is the Democratic candidate for the 33rd State Senate District which consists of the towns of Chester, Clinton, Colchester, Deep River, East Haddam, East Hampton, Essex, Haddam, Lyme, Portland, Westbrook, and part of Old Saybrook. For more information on Healthy Moms, Healhy Babies, visit www.hmhb.org. For more information on Planned Parenthood Votes! Connecticut, visit www.plannedparenthoodvotes.org. For more information on NARAL Pro-Choice Connecticut PAC, visit www.prochoicect.org. 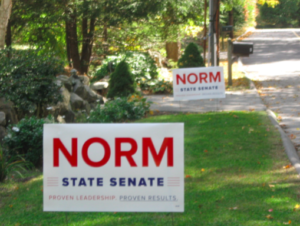 For more information on Needleman’s campaign, visit www.norm.vote. AREAWIDE — Have you or someone you know been considering starting or expanding your family? There are many children who absolutely deserve and want to be a part of a loving family. Invest a few hours of your time and let the Foster, Adoptive and Kinship Coalition Team show you how the adoption process works; all of the support available both pre- and post-adoption; and the rewards of adoption and starting or growing your family. The Foster, Adoptive and Kinship Coalition Team is bringing together adoption agencies from across Connecticut, the Department of Children and Families, the Heart Gallery and other organizations involved in adoption support services so Connecticut families can learn more about the process of becoming an adoptive parent. Attend this National Adoption Month Adoption Fair in Southbury on Nov. 5 from 11 a.m. to 2 p.m. at United Church of Christ, 283 Main St North. Representatives from adoption agencies from Connecticut and Massachusetts will be hosting information tables where you can ask questions, pick up information and mingle. There will be speakers representing domestic, international and foster-to-adopt throughout the day. For more information, call Annie C Courtney Foundation and ask for Deb Kelleher at 475.235.2184. 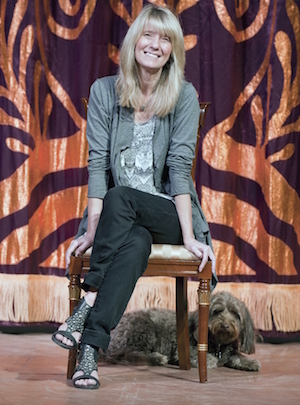 Director Jacqui Hubbard with her dog Lulu, a mutt. On Saturday, Oct. 15, the theatre will celebrate with a Wonderland Tea Party from 10 a.m. to noon at the Ivoryton Farmer’s Market. Free activities for children will include A Pink Flamingo Croquet Game, Madhatters Tea Party, Queen of Hearts Story Time, glitter tattoos and face painting and musical fun with Sunny Train. In the evening, the theatre will host a red carpet gala. The Mirror Ball: Reflections on 25 years through the Looking Glass will feature cocktails and fine foods catered by Coffee’s Market; a musical retrospective of the past 25 years with performances by some favorite artists; champagne toasts and dancing till midnight to the fabulous music of Long Island Sound. For more information on tickets to the Mirror Ball, the 2017 season, and all things Ivoryton Playhouse, call 860.767.9520 or visit our website at www.ivorytonplayhouse.org. 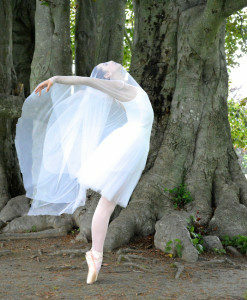 OLD SAYBROOK — Treat children of all ages to family-friendly Halloween fun with Eastern Connecticut Ballet’s “Ballet Spooktacular” at The Kate. Special effects and bewitching costumes set the stage for spirited performances of The Sorcerer’s Apprentice, Dancing Bones, and Halloween Waltz. Children are invited to wear their costumes to parade on stage, trick-or-treat throughout the decorated theater and pose for spellbinding photos with the dancers. Performances will take place on Saturday and Sunday, Oct. 15 and 16, at 1 and 4 p.m. Tickets to Ballet Spooktacular are $18 for adults and $12 for children (age 12 and under) and are available through The Kate box office at 877-503-1286. Isabelle McDonald is the winner of the Fall 2016 Carolyn R. Greenleaf Music Award presented by the Community Music School. 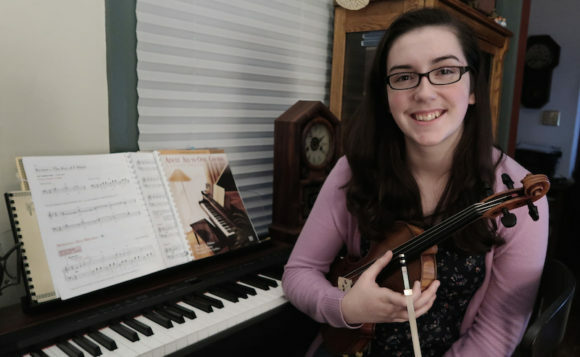 CENTERBROOK — The selection committee for the Carolyn R. Greenleaf Memorial Fund of Community Music School (CMS) has chosen violinist, guitarist, and pianist Isabelle McDonald as the recipient of the Fall 2016 Carolyn R. Greenleaf Music Award. This award is given each semester to a middle or high school student who has demonstrated exceptional musical ability and motivation, and awards a semester of private lessons at Community Music School in Centerbrook. Isabelle has chosen to study piano with CMS’s new virtuoso piano instructor, Matthew Massaro. Isabelle, who is a junior at Valley Regional High School, is an accomplished violin student having studied under numerous instructors, most recently under the tutelage of Kyung Yu of Yale University. She has also studied with Janet Boughton of Guilford, Connecticut and Lisa Gray at the CMS. Isabelle has been a member of a number of leading youth orchestras in Connecticut, including the Norwalk Youth Symphony (NYS) for four years and the Greater Bridgeport Youth Orchestras for three years. For her final two years with NYS, she was the Principal Orchestra’s principal second violinist. Isabelle has also performed in a number of chamber music ensembles, including the Chamber Music Institute for Young Musicians and with the NYS chamber music program. In addition to her study on the violin and piano, Isabelle has taken guitar lessons with John Birt at CMS. Along with Isabelle’s musical talent, she is also a talented visual art student, having won a number of juried art show awards. Isabelle has expressed a desire to continue her music and visual art studies in college. Essex Wellness Center at Novelty Ln. in Essex. ESSEX — Fitness on the Water in Essex presents a Pilates Party! The festivities are from 10:30 a.m. to 2 p.m. this Saturday, Oct. 15, at 8 Novelty Lane, Essex. See demonstrations of the new Pilates reformer/tower equipment at Fitness on the Water in Essex and learn how Pilates benefits all age groups and fitness levels. 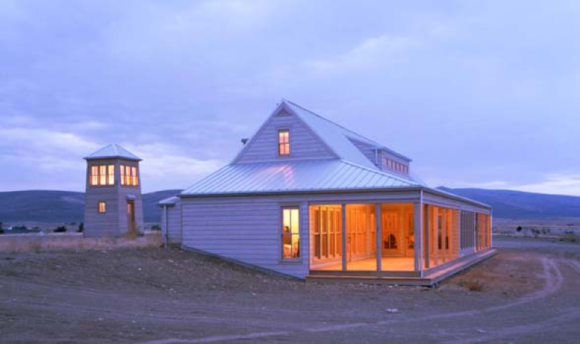 Readers are invited to come and tour the Center’s studios overlooking the water. Refreshments, giveaways, free mini facials, and chair massages along with discounts on the Center’s own clothing line will be offered. The Center’s expert instructors will also be on hand to discuss with readers how starting a Pilates fitness routine can be beneficial. Call 860-581-8225 to RSVP or email donna@fitnessonthewater.com. Getting ready to rummage! 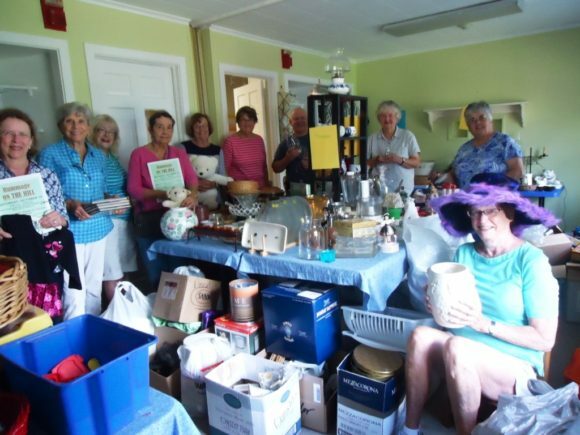 Members of the Rummage Committee of The First Congregational Church in Essex at 6 Methodist Hill in Essex Village are preparing for the church’s annual Rummage Sale on Oct. 15 from 9 a.m. to 2 p.m. An Early Sales night will take place on Oct. 14 from 6 to 8 p.m.
ESSEX — The annual Rummage On The Hill Sale will be held at the First Congregational Church in Essex, 6 Methodist Hill, on Saturday, Oct. 15, from 9 a.m. to 2 p.m., rain or shine. An Early Sales evening will take place on Friday, Oct. 14, from 6 to 8 p.m. For a $5 admission per person, customers will have the opportunity to be the first to preview and buy from the extensive selections of merchandise, as well as homemade baked goods. A new department this year will be “Home Décor,” featuring a variety of decorator-quality collectibles for the home, including specialty small furniture. Also new this year is a “50/50 drawing,” with the winner taking home 50 percent of the total monies from the ticket sales. Other items for sale will include finer women’s, men’s and children’s clothing and shoes; women’s accessories and jewelry; books, CDs and DVDs; games and puzzles; housewares, including lamps and frames, children’s toys and selected furniture. A bake sale will feature home made fare and refreshments will be available at The Grill, on Oct. 15. Proceeds from the sale go to support the missions of the church. Rummage donations are now being accepted at the church, Tuesday through Friday from 9 a.m. to 2 p.m. Donations will also be accepted during extended hours, the week prior to the sale, Oct. 10 through Oct. 14. If you have items that you wish to donate but need them picked up by a sale volunteer, call the church office at (860) 767-8097. The church will not accept any linens, appliances, air conditioners, computers or televisions of any kind or anything that is damaged or soiled. 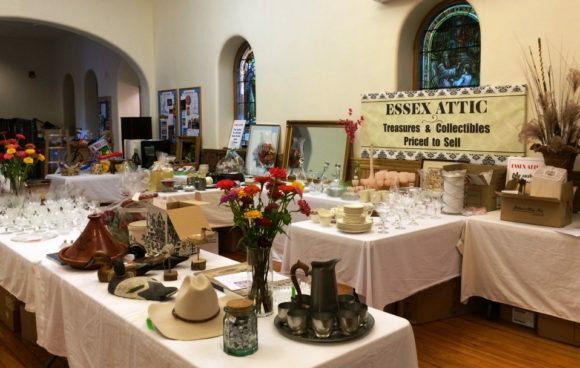 ESSEX — Once again it’s time to come down to Essex and ‘rummage!” Visit the annual Rummage Sale at St. John’s Episcopal Church and find the treasures you have long been seeking. The Sale will be on Friday and Saturday, Oct. 14 and 15, from 9 a.m. to 2 pm. It is a huge sale with way too many items to list – everything from furniture, household appliances, books, clothing, electrical appliances, tools, etc. Hundreds of items are priced under $10. Prepare to be inspired in the Boutique, where you can pick out the perfect outfit. “Essex Attic” has exceptional treasures and really cool costume jewelry. The Silent Auction is full of unique and special items waiting for your bid. Cider and doughnuts will be available, and on Saturday there will also be a bake sale, plus hot dogs. The Church is located at the corner of Main & Cross Streets, Essex, CT 06426 – opposite the park. 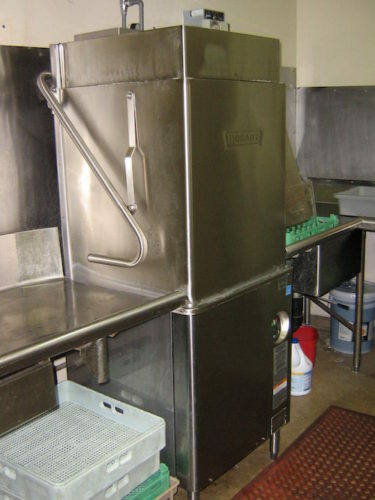 OLD SAYBROOK — Through a generous grant from the Walmart Foundation of $25,000, the Estuary Council of Seniors in Old Saybrook has been able to replace its aging dishwasher with a state of the art replacement. The 15-year old machine had been doing its best, but it was becoming an increasing challenge to find replacement parts for the aging machine and also simply to repair it. The new machine is a much higher efficiency model and uses about one third of the water compared to the old machine and is Energy Star-rated for increased utility efficiency. It also has a higher per load speed and capacity so more dishes can be done in less time. In addition, it is a high temperature sanitizing machine, which eliminates the need for costly chemicals also. The Estuary is the regional senior center serving the towns of Clinton, Chester, Deep River, Essex, Killingworth, Lyme, Old Lyme, Old Saybrook, and Westbrook. The Estuary served over 55,000 meals in its Meals on Wheels Program last year and served over an additional 20,000 meals at its three congregate meal sites in the nine-town region. The center also hosts a full range of services, instructional classes, exercise and fitness programs, and opportunities for socialization to local seniors. The Estuary Council of Seniors extend special thanks to the Walmart Foundation for making possible the purchase and installation of this new piece of equipment — and all the resultant clean dishes for years to come! The Estuary believes that Walmart is a great community partner in the mission to help those locally in need. To find out more about the Estuary Council of Seniors, visit the center at 220 Main Street, Old Saybrook, or www.ecsenior.org or call (860) 388-1611. Brian Cheney of Old Lyme , pictured standing above, is the lead tenor in the performance. It’s warp speed ahead in this exuberant production of Mozart’s The Abduction from the Seraglio. 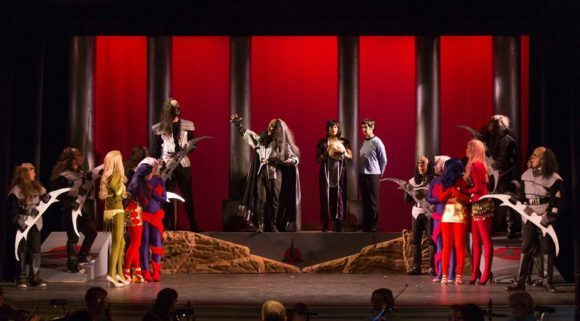 Recast as a Star Trek parody, this grand opera plays this October in Old Saybrook and Mashantucket, CT.
Stardate 14-20.27. The beauteous Konstanze and her lovely maid, Blonde have been whisked away by pirates to the Klingon slave markets. Captain Belmonte and crew track their beloved companions to a harem, but how will they ever steal the women away from the now enraptured Selim and slave master, Osmin? Commissioned by the Emperor Joseph II, The Abduction from the Seraglio premiered in July 1782 to wide acclaim. The new translation―heavy on laughs and iconic lines―was written by stage director Josh Shaw and premiered in March 2015 to sold-out audiences. 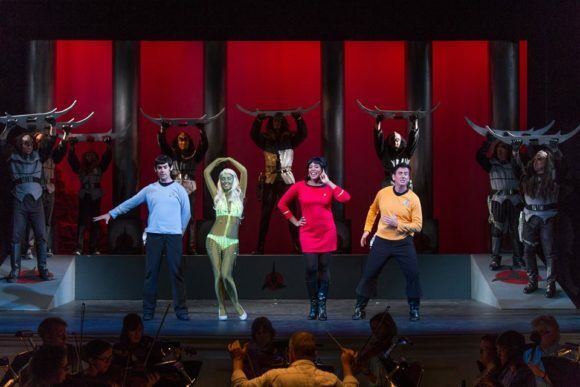 Along with Klingons and alien slave girls, favorite characters from the much-loved original series sing and dance their way through Abduction accompanied by a 21-piece orchestra. The opera is full of action of every kind! Sung in English, the opera will run just over two hours with an intermission. 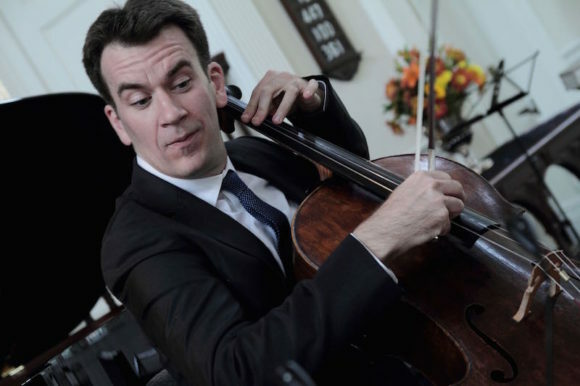 The leading man in the performance is tenor Brian Cheney of Old Lyme, who on the rare weeks home from his professional singing career that takes him all over the country, sings in the choir at the First Congregational Church of Old Lyme. The Abduction from the Seraglio is playing at The Pequot Museum Auditorium (110 Pequot Trail Mashantucket, CT) on Friday, Oct. 14, at 7 p.m. and Sunday, Oct. 16 at 3 p.m. Tickets may be purchased online at www.saltmarshopera.org or by calling Salt Marsh Opera at 860.535.0753. AREAWIDE — Volunteers are needed at the Estuary Council Senior Center, 220 Main St, Old Saybrook. The senior center has a variety of opportunities for volunteers. Join the Thrift Shop team, pack or deliver Meals on Wheels, drive someone to a medical appointment, or greet guests at the Welcome Desk. The Estuary’s Volunteer Coordinator will meet with you to discuss your interests and availability and find the best fit for you. Even a few hours a week can make a big difference. The Center’s many vital services and programs would not be possible without the volunteers who donate their time and talent to it. For more information, call Judy at 860-388-1611 x203. 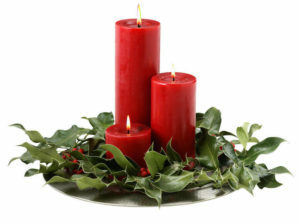 On Sunday, Dec. 11, at 4 p.m., First Church (UCC) in Middletown will host a Candlelight Christmas Concert. The concert is free and open to the public (donations appreciated). The concert will feature classical, and modern Gospel and spiritual selections from the church’s choirs, bell choir, and the Court Street quartet; as well as Christmas readings and carol singing. First Church in Middletown is at 190 Court Street; there is plenty of free parking nearby. For additional information about First Church services or programs, call the church’s office manager at 860-346-6657. Signature artwork by Arthur Guagliumi. December Marshview Gallery Artist of the Month, Arthur Guagliumi, has worked as an exhibiting artist in multi-media, word assemblage and photography. 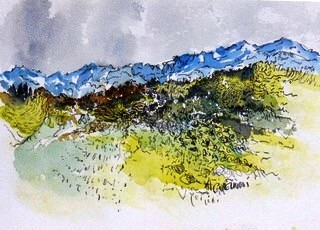 His watercolor landscapes are relatively small, often incorporating pencil and ink lines, spontaneous splatters, collage elements and color layering. He often derives from themes in nature. An opening reception for Guagliumi’s exhibition will be held Dec. 9, from 5 to 7 p.m. All are welcome. Refreshments will be served. Guagliumi received his Doctorate of Fine Arts Education at Columbia University and is currently a professor emeritus at Southern CT State University where he taught for 48 years. He has shown in numerous exhibitions throughout New England. He recently won an award at the Guilford Art League’s annual exhibit at the Guilford Art Center. 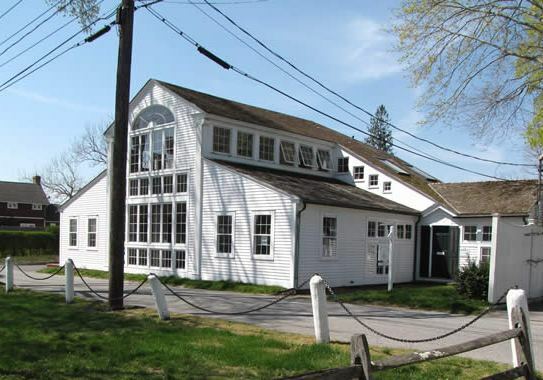 Marshview Gallery is located at the Estuary Council of Seniors, Inc., 220 Main St, Old Saybrook. Call 860-388-1611 for details. 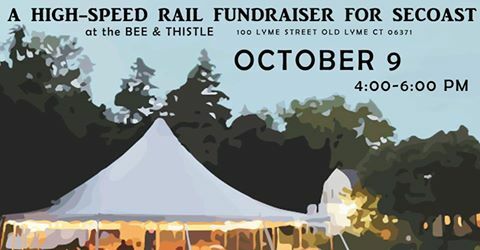 AREAWIDE — SECoast, the non-profit group actively and constructively opposing the proposed high-speed rail line through Old Lyme and southeast Connecticut, is holding a fundraiser at the Bee and Thistle Inn on Sunday from 4 to 6 p.m.
SECoast.org is a locally-directed special project of the Connecticut Trust for Historic Preservation. 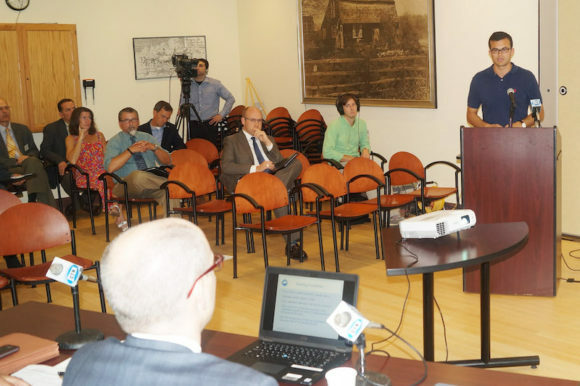 Since publicly breaking news of the proposed bypass in January, SECoast.org has been working tirelessly as an effective advocate for Old Lyme and the local area by catalyzing growing regional opposition to the bypass. Thanks to the generosity of the Bee and Thistle’s owner David Rufo, the Inn’s Executive Chef and acclaimed wildlife photographer Kristofer Rowe and singer/songwriter Dan Stevens who is performing at the event, 100 percent of the funds raised on Sunday will go towards mounting a legal defense to the route, which it is anticipated will be announced next week. The monies raised will help support staffing, digital media and administrative costs of the campaign. Once that announcement has been made, there are precisely 30 days by law to respond to the preferred route. SECoast wants to be ready to react immediately to the announcement. Tickets for Sunday’s event are $50 and fully tax-deductible. There is also a Sponsor level at $250 and sponsors will receive an autographed Kristofer Rowe photograph. Donations in any amount are always at welcome at this account or by mail at CT Trust for Historic Trust Preservation, 940 Whitney Ave., Hamden, CT 06517-4002 (make checks payable to CT Trust with “For SECoast” on the face. We cannot emphasize enough the importance of the work that SECoast has been doing. Without Greg Stroud and his small band of dedicated individuals, the proposed Old Saybrook to Kenyon by-pass would likely have quietly continued along its probable path to becoming part of the FRA’s Tier 2 preferred route. We are delighted that Senator Richard Blumenthal, Congressman Joe Courtney, State Senator Paul Formica and State Representative Devin Carney are now all vocally opposed to the route and believe that in no small part relates to the efforts of SECoast. We hope our Old Lyme Board of Selectmen (BOS) will show their support for SECoast because surely the BOS objectives are identical to those of SECoast? 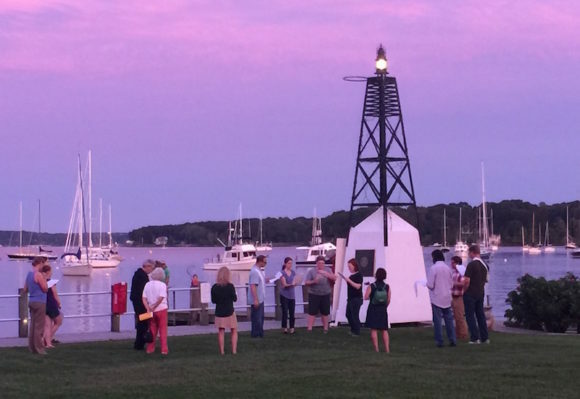 This fundraiser is your chance to show your appreciation for all the work that SECoast has undertaken so far on behalf of the residents of Old Lyme specifically and, in a broader sense, the people of southeastern Connecticut … and all the work it will take on in the future. If you choose not to support SECoast, then please don’t feel you have a right to complain about the train route down the line … pun intended! 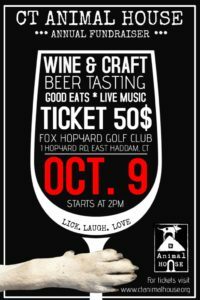 The CT Animal House is hosting its annual fundraiser Sunday, Oct. 9, from 2 to 6 p.m. at Fox Hopyard Golf Club, 1 Fox Hopyard Rd., East Haddam. It will be an afternoon of live music starring Essex Animal Control Officer Jae Wolf with DJ Renee DiNino as Master of Ceremonies. There will be great wine and craft beer tasting, delicious bites, and great raffle items. Tickets are $50 each and can be purchased online at www.ctanimalhouse.org or at the door. 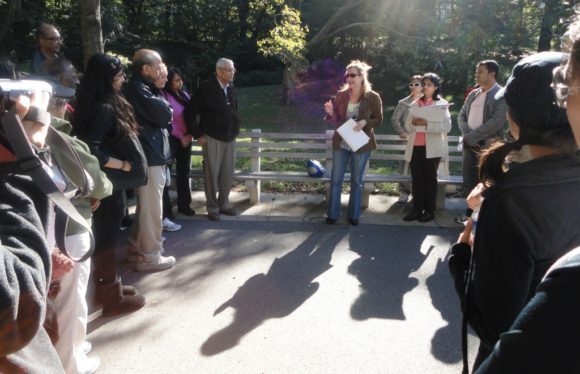 AREAWIDE — This Sunday, Oct. 9, The Maina Foundation is hosting a three-mile-walk in Rocky Neck State Park to raise funds for its critical work increasing breast cancer awareness and promoting early detection to women in need of financial assistance. By working at a grass roots level, the foundation devotes the majority of the funds raised to hospitals and clinics for furthering the cause of early detection. The incidence of breast cancer is rising globally, especially in developing countries such as India where 1 in 28 women develop the disease. Unfortunately, because of the social taboo associated with breast cancer, almost 80 percent of patients reach an advanced stage before medical care is obtained. 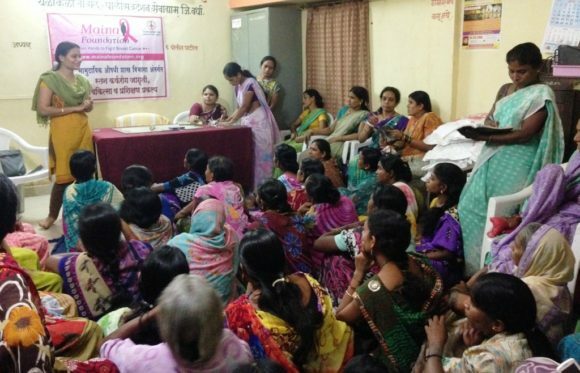 The Maina Foundation hosts breast cancer awareness classes in India. By supporting awareness programs and providing mammogram units, The Maina Foundation wants to bring breast cancer discussion to the forefront and encourage women to seek preventative care. Since its inception in 2008, Maina has donated mammogram units, set up awareness programs and helped with patient care. Onsite registration for the walk begins at 9 a.m. and the walk begins at 10 a.m. 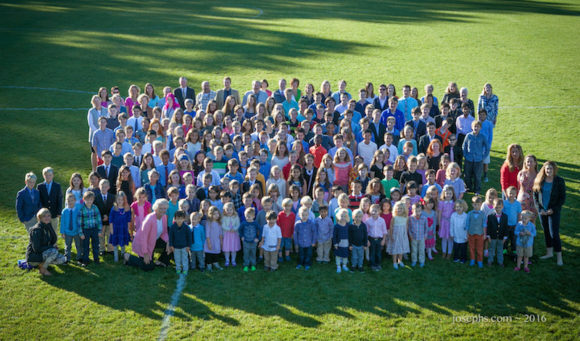 The Maina Foundation is a non-profit organization with an office in Old Lyme. For more information, visit The Maina Foundation’s website at mainafoundation.org. After entering the park, go towards the West side towards the Administrative building. Registration desk will be located near the building.